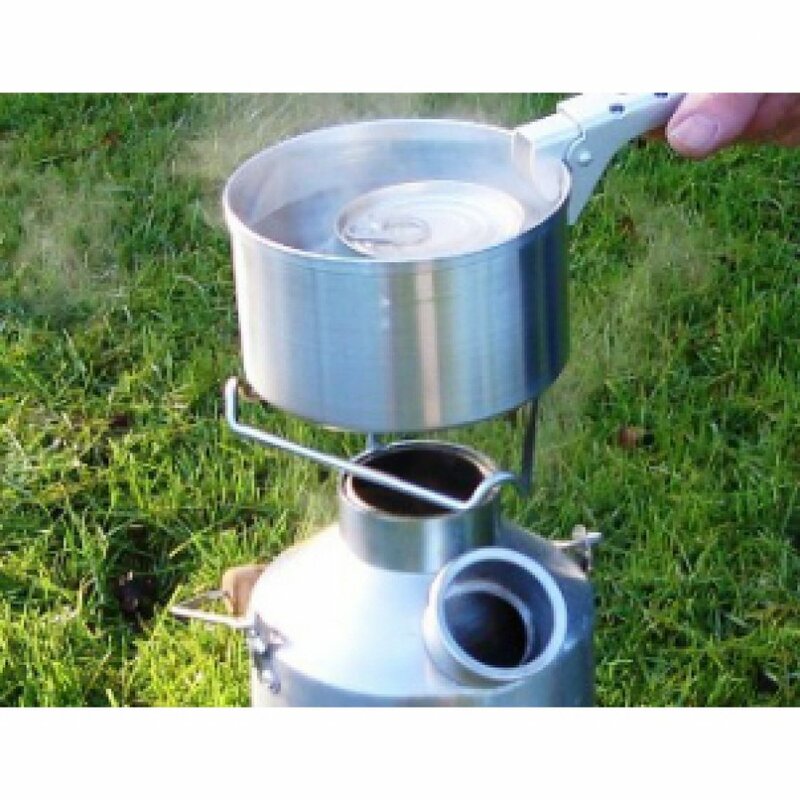 Designed to be used with the storm kettle the Cook Kit & pan support set widen the use of your storm kettle by giving you the extra facilities to be able to cook food and heat drinks. The 2-piece grill can drop onto the storm kettle base after the kettle itself has boiled and has been removed. Either the saucepan or the frying pan can then be put on the grill to cook food and keep drinks warm. The saucepan can be easily taken off the heat using the special removable grip handle to allow re-fuelling of the storm kettle. Finally the innovative pan support can be put on top of the storm kettle whilst it is boiling to make use of the spare heat coming out of the top chimney. This means that heat that would vanish out of the top of the kettle is instead utilized to support cooking utensils and nothing is wasted! Please note: the Storm Kettle is sold separately. There are currently no questions to display about Cook Kit & Pan Support Set for the Storm Kettle.